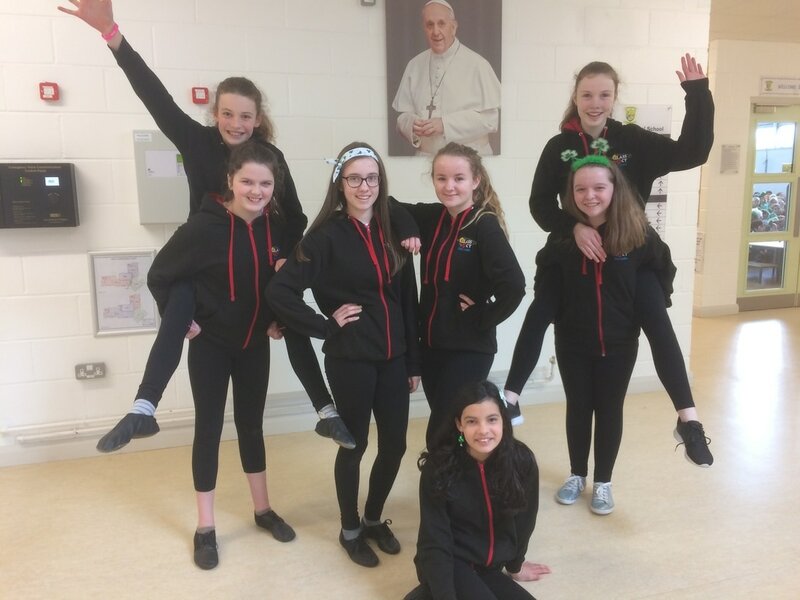 Congratulations to Abbie Walker in 6th class who is a finalist in the Doodle for Google art competition. 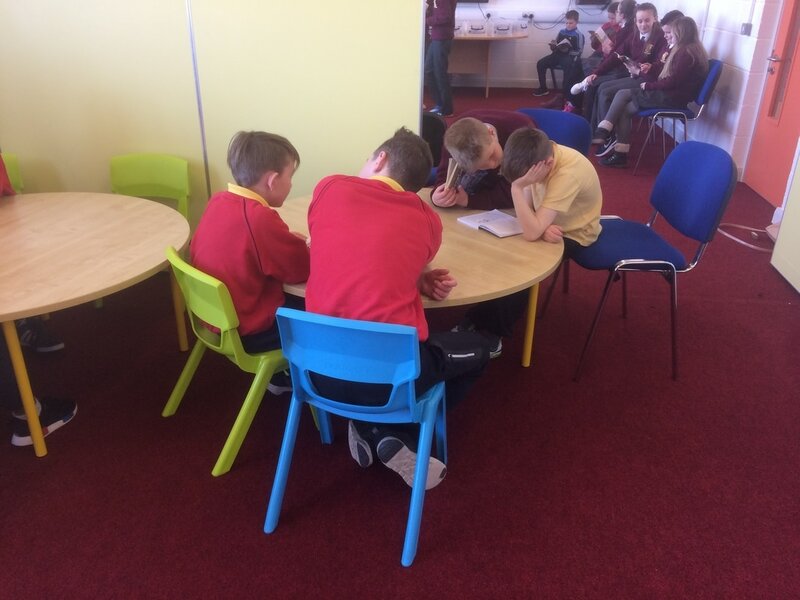 Voting is now closed and Abbie will attend a presentation ceremony in the Google offices very soon. 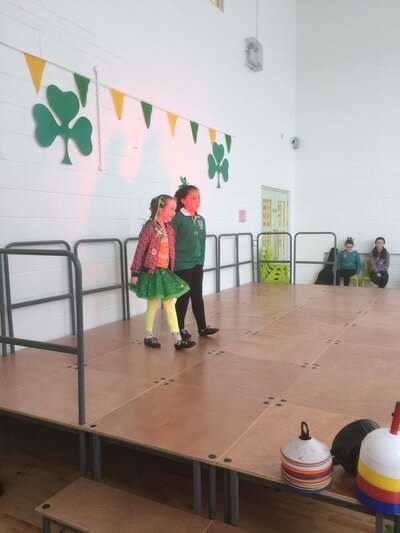 Fingers crossed for her! 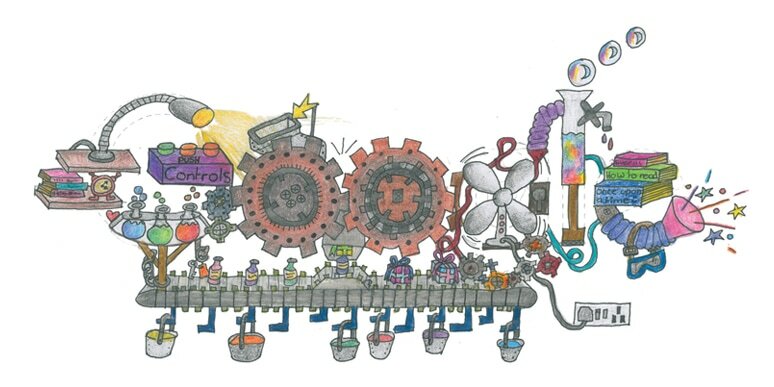 Abbie is delighted to be a finalist in the Doodle for Google art competition. We love art... have a look at what we got up to! 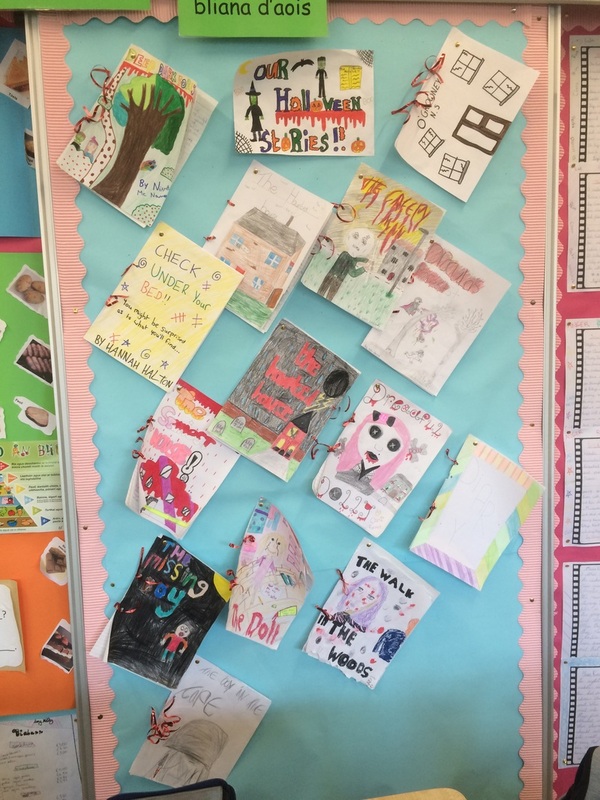 We wrote Hallowe'en stories & created books for others to read - if you dare! 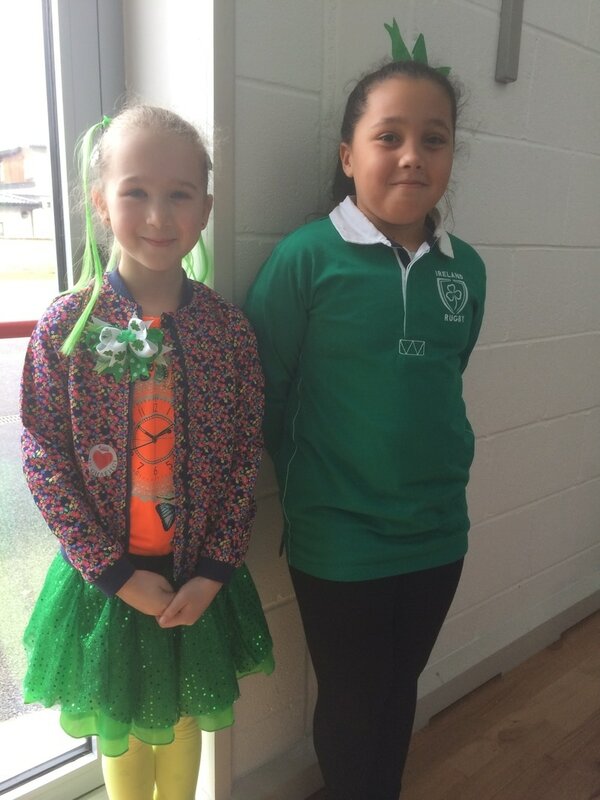 We are learning the counties of Ireland for an upcoming test. 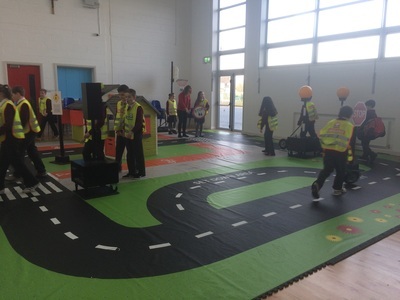 Get practising here & then ace your test! 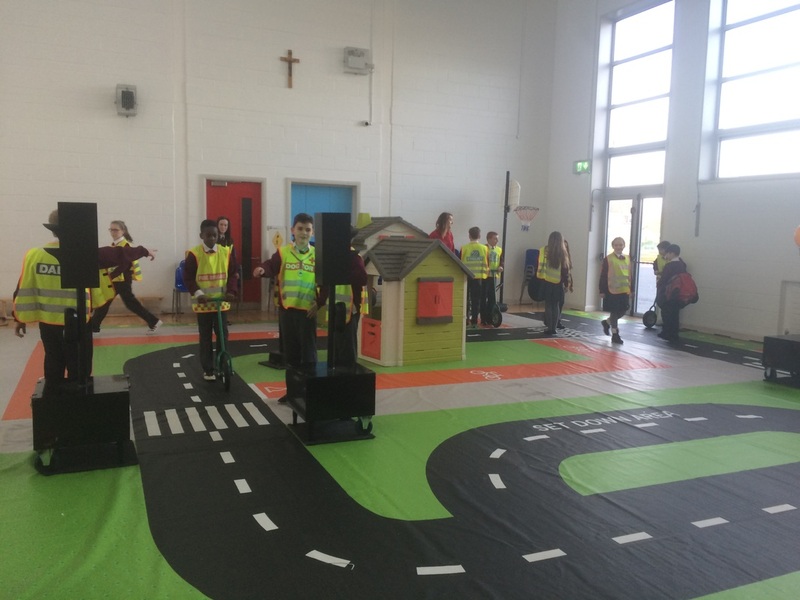 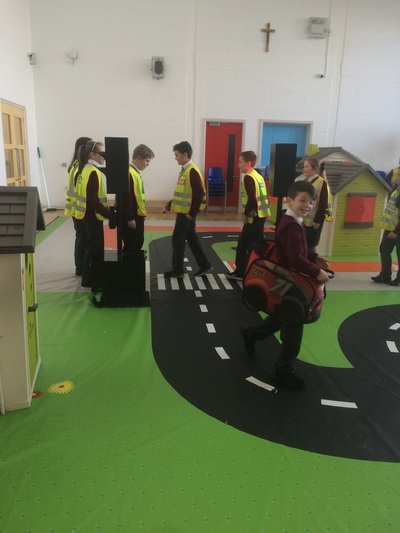 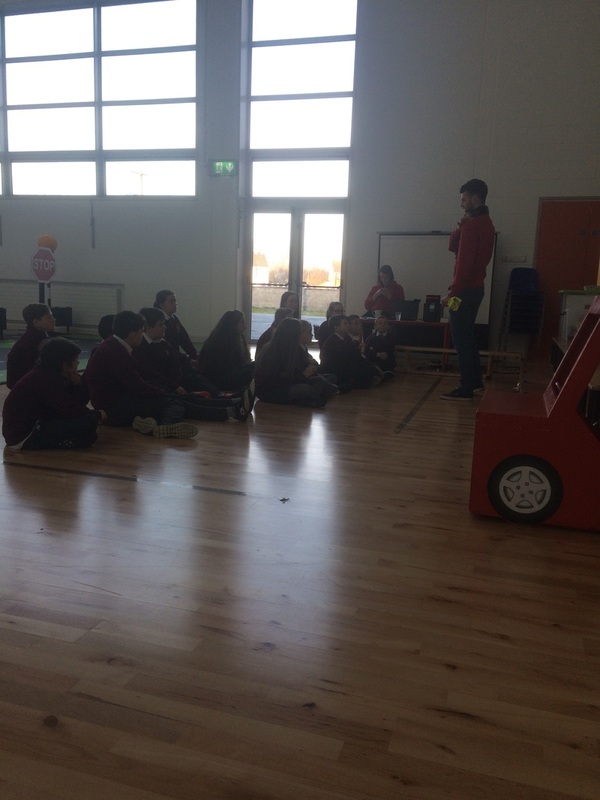 The Road Safety Authority visited our school & we learned how to be safe road users. 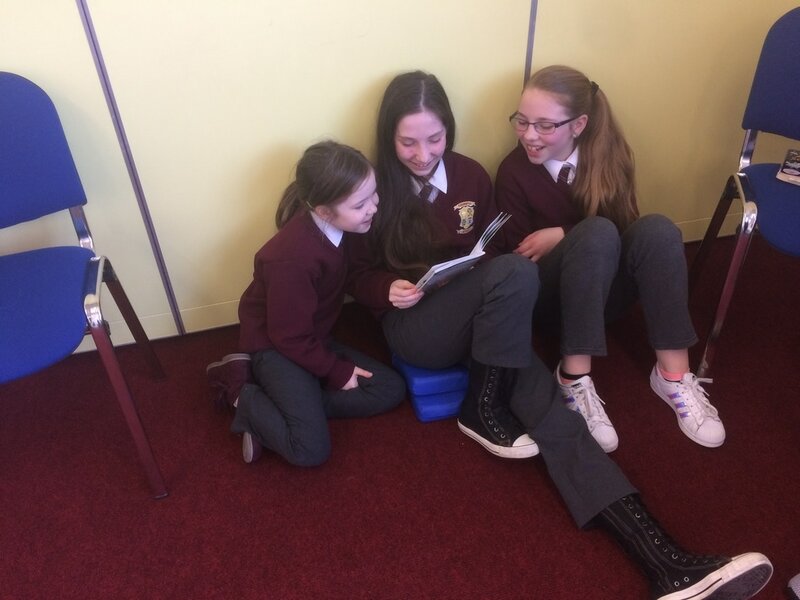 We enjoyed planning & writing Christmas stories, suitable for a younger audience. Happy Christmas from Ms. Ashe's class! 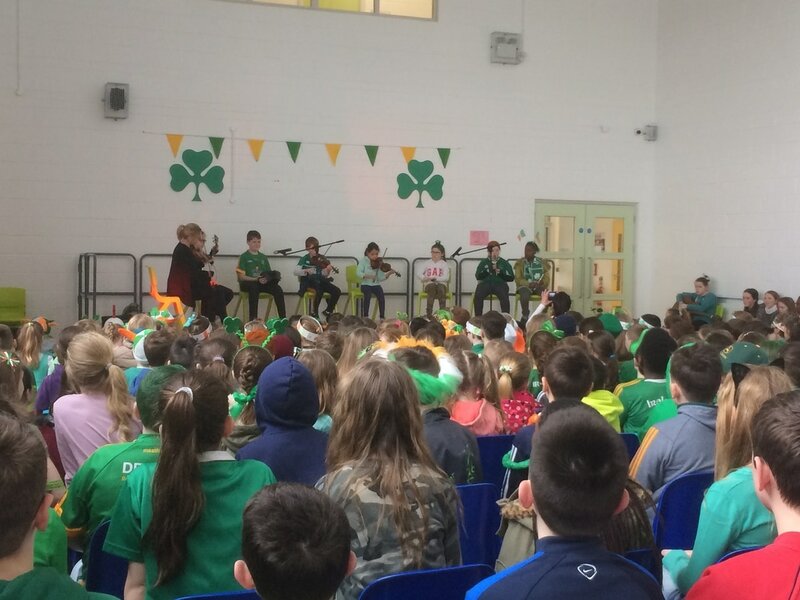 Lots of us got involved in our Lá Glás celebrations. 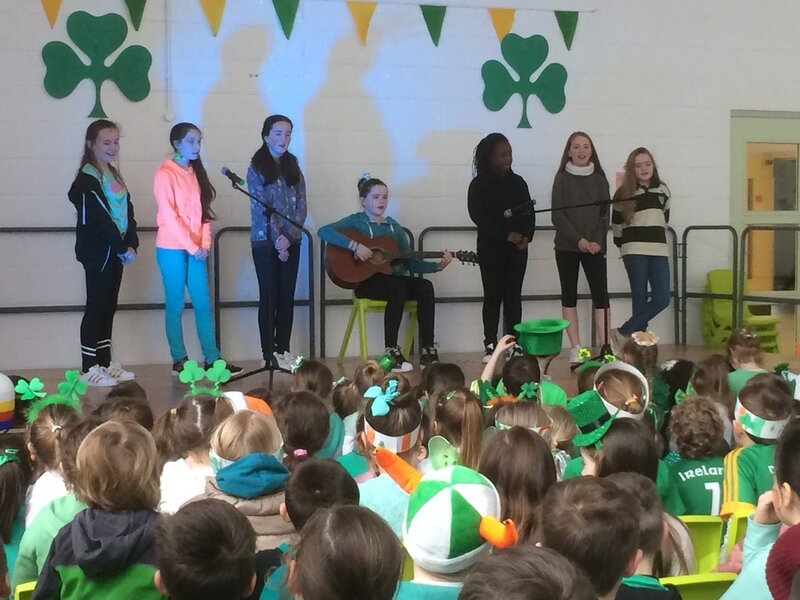 Well done to the dancers, musicians & singers. It was very entertaining! 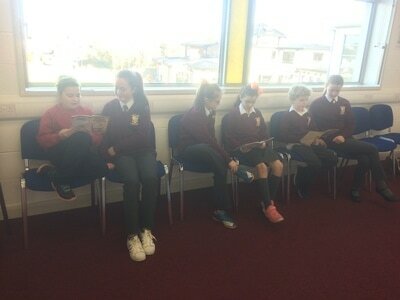 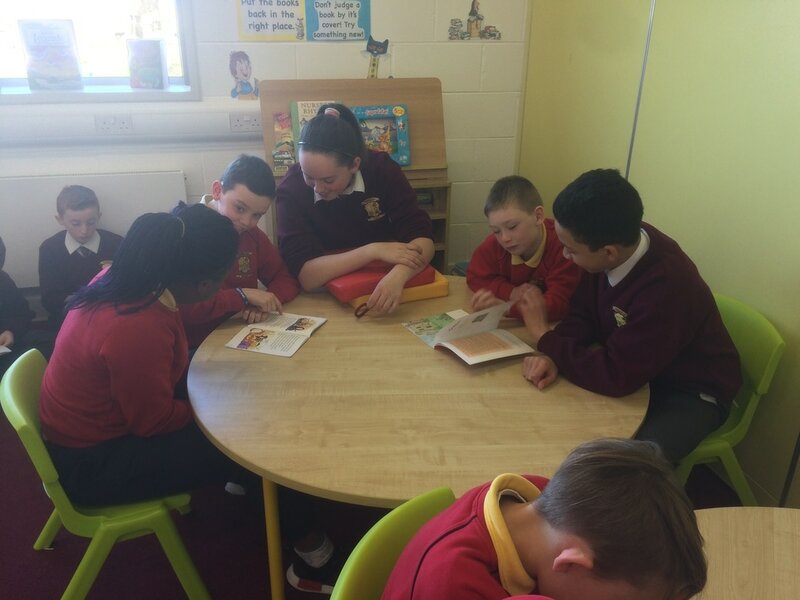 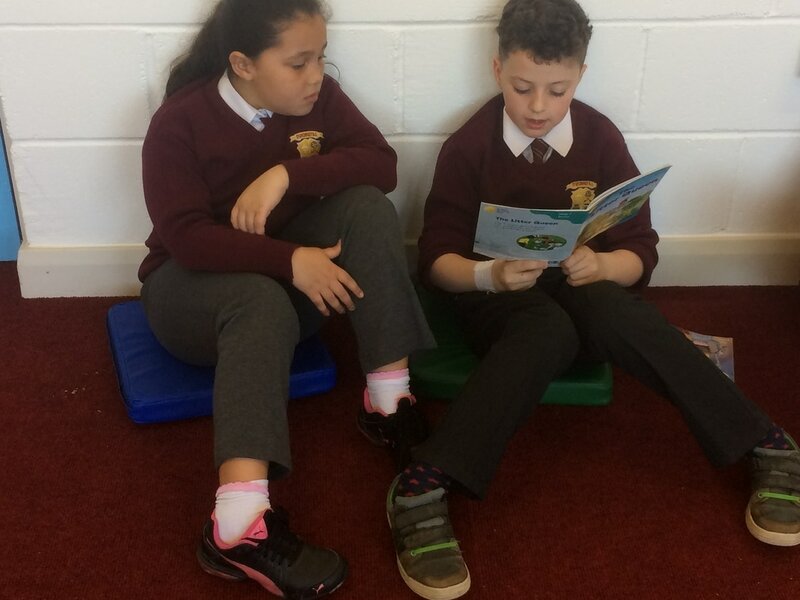 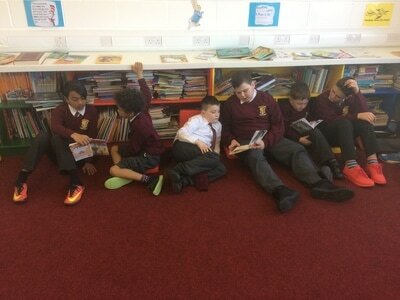 We do 'buddy reading' with Ms. Walker's 2nd class on Wednesday in the library. 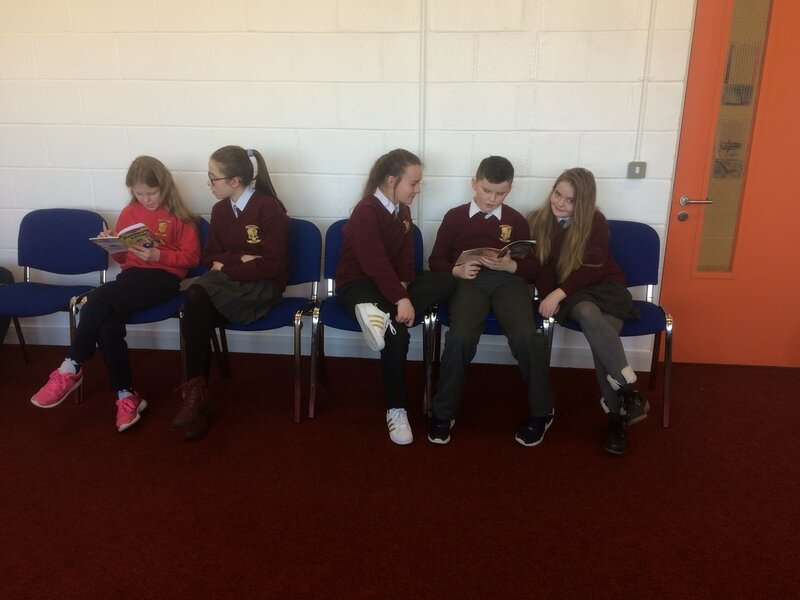 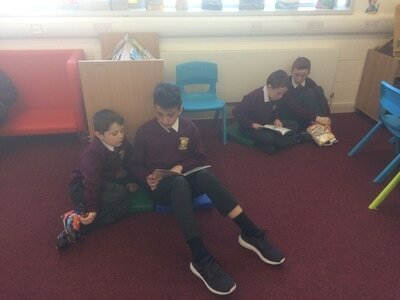 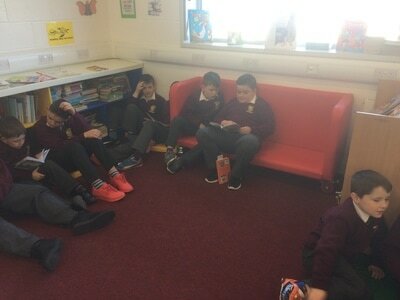 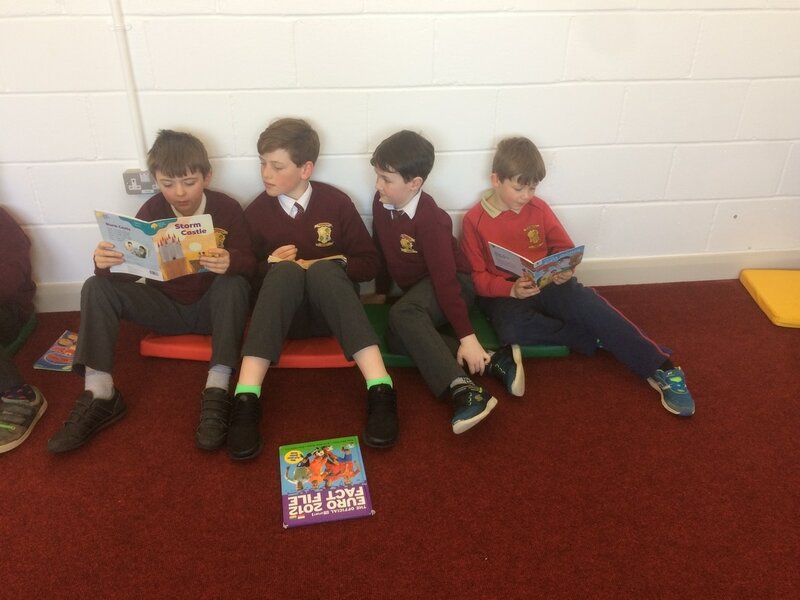 ​We enjoy listening to each other read & catching up with each other! 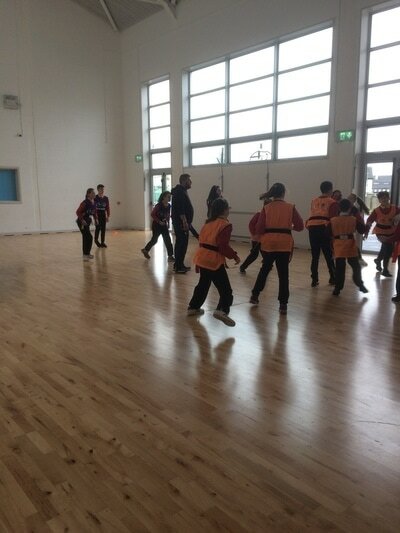 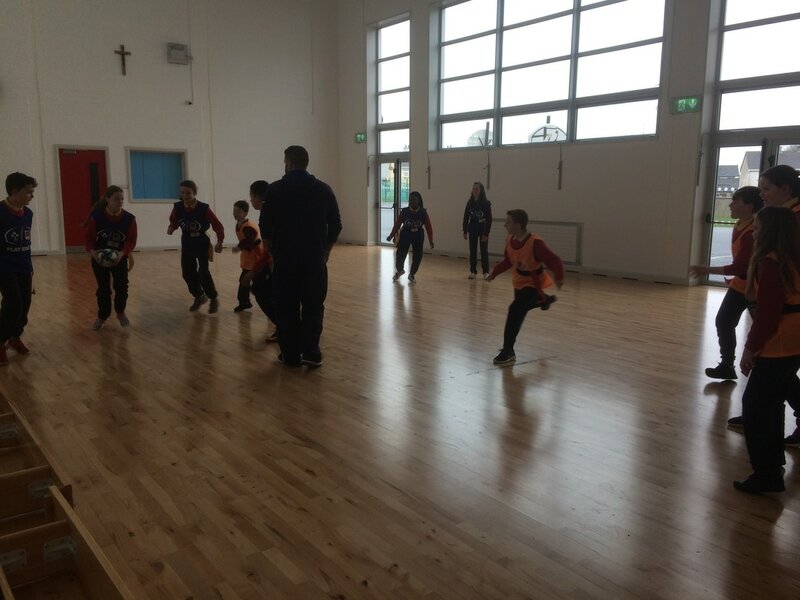 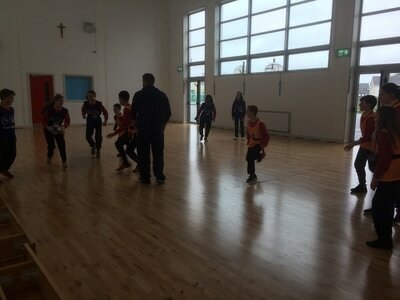 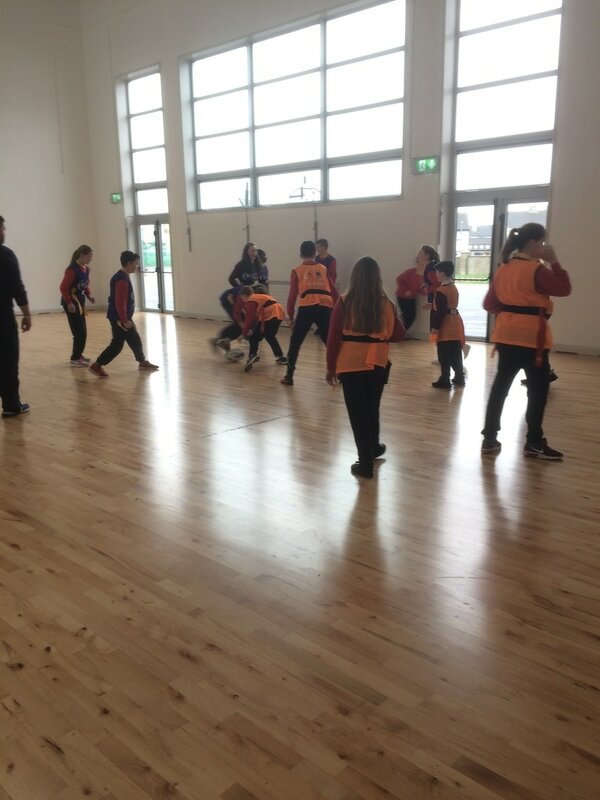 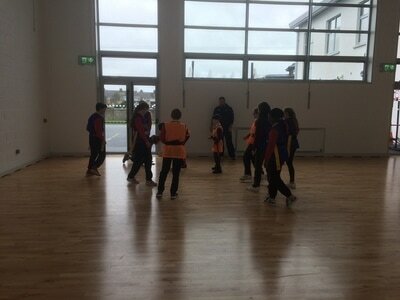 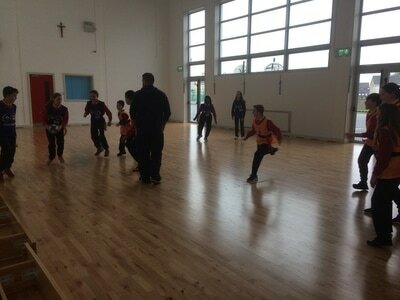 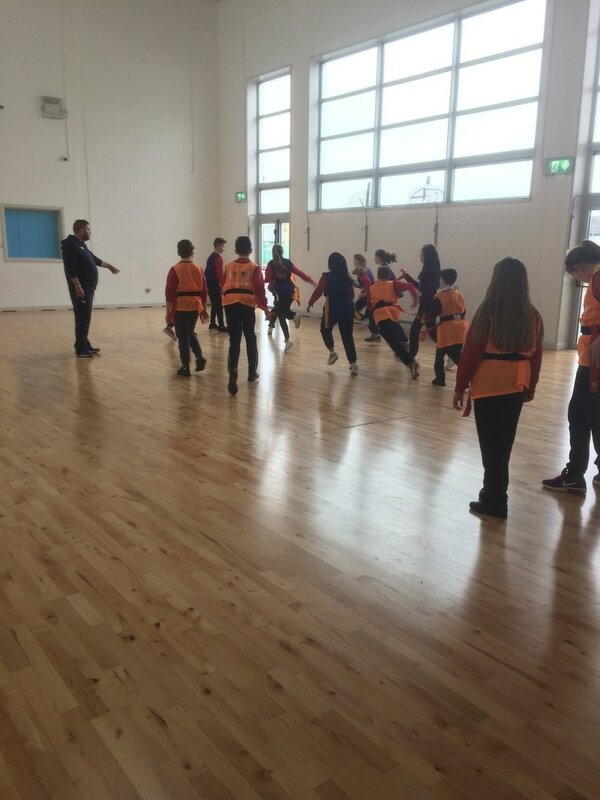 We are learning how to play tag rugby every Tuesday, thanks to Athboy Rugby Club.